VICTORIA, Canada — Providing a sound reinforcement system to accommodate the growing audiences for The Butchart Gardens’ “Summer at the Gardens” concert series, DL Sound & Lighting Productions of Victoria has supplied HARMAN’s JBL VTX V20 line array loudspeakers and Crown I-Tech 4x3500HD amplifiers for two months of live performances. Located near Victoria on Vancouver Island, The Butchart Gardens is a collection of floral gardens that receives almost a million visitors each year. For the past 12 years, DL Sound has provided the sound reinforcement system for The Butchart Gardens’ famed “Summer at the Gardens” series. This year’s performers included world-famous acts including Colin James and Pink Martini, with performances scheduled every night from June 15 to August 30. 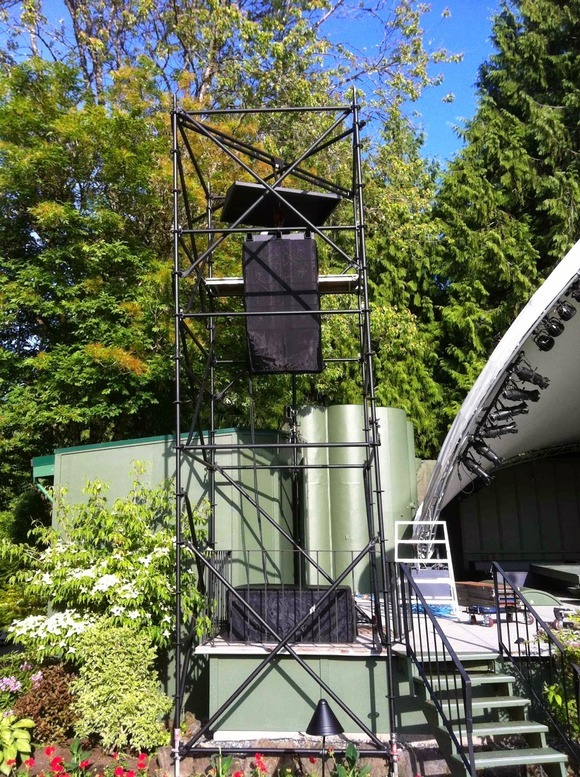 The system at The Butchart Gardens includes a left-right hang of six V20 line array loudspeakers per side, powered with Crown I-Tech 4x3500HD amplifiers. Gatien also uses JBL HiQnet Performance Manager™ to monitor and control the system. “I haven’t had any training on Performance Manager, so I’ve been figuring it out as we go, but it’s so intuitive that it’s been working great, and we’re doing really well with it,” Gatien noted.